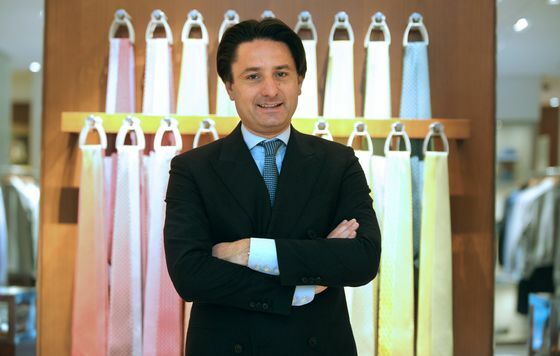 (Bloomberg) -- Hermes International has become the latest fashion industry victim of men’s casual dress, signaling weakness in its silk business as neckties lose their allure. Revenue from silk and textiles rose 3 percent in 2018, the slowest growth of the French luxury-goods maker’s business units. Chief Executive Officer Axel Dumas said Wednesday the company has been shifting production to adjust to men’s new preferences. As Goldman Sachs Group Inc. pushes a freer dress code, makers of formal wear have been changing tack to maintain sales growth. Hugo Boss AG CEO Mark Langer said earlier this month that men’s dress codes will never return to their strictness of the 1990s, and so it’s branching out more so its portfolio includes more sweaters and casual shoes instead of such a big focus on suits. Top-end leather goods for women like the $10,000-plus Birkin and Kelly handbags dominate the Hermes balance sheet. But neckties have long been a key driver for the company’s menswear business, as gents could don jumping horses or interlocking "Hs" at the office for a more modest $195. Hermes has been pushing its silk cashmere blend for men, hoping to win them over with products such as the $780 Last Night Scarf, which features the image of a DJ’s turntable. The company also occasionally throws parties and events where customers are taught how to tie scarves while being entertained with music and Champagne. The French maker of Birkin bags also said demand from Chinese consumers kept rising in the start of the year after operating profit rose 6 percent in 2018, maintaining its margin at the top among luxury-goods makers. The company raised prices globally by about 3 percent on average last year.